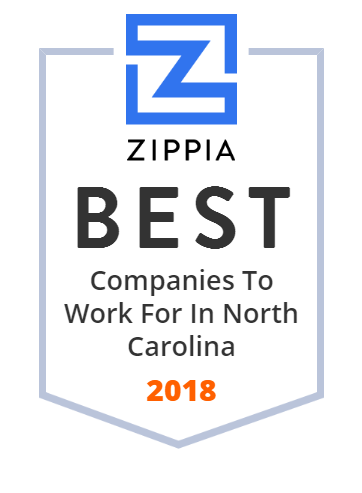 We hand-curated a list of the best companies to work for headquartered in and around North Carolina using data on salaries, company financial health, and employee diversity. Albermarle is a manufacturing facility that performs fundamental research and product development, Pilot Plant Development, Marketing development as well as full-scale Manufacturing. In Baton Rouge, there are two sites for operation, the Process Development Center and the Baton Rouge Tower. The latter focuses leadership for IT, Logistics, Master Data, Engineering, HSE and Operational Excellence. SMT Inc. is a woman-owned and -operated enterprise that has been serving customers for more than 40 years. It helps clients in every stage of construction, from engineering and fabrication to painting and powder coating. SMT has a team of pros that handle metal fabrication and enclosure assembly jobs. The company also produces frames, cabinets, and lighting fixtures for the computer, electronics, and electrical distribution industries. Vectra Corporation operates as a technology-driven industrial company worldwide. It operates through Magnetic Technologies, Battery Technologies, and Specialty Chemicals segments. The Magnetic Technologies segment develops, manufactures, and distributes industrial-use magnetic materials, and related products and systems. This segment provides a range of magnetic technology products, from magnetically soft products to permanent magnets for sale to end markets, such as automotive systems, electrical installation technology, energy conversion and distribution, industrial, retail, and renewable energy markets. The Specialty Chemicals segment develops, produces, and supplies chemicals for electronic applications, as well as for industrial applications, including coatings, composites, and tires; and photo masks to produce semiconductors and related products. The Battery Technologies segment offers batteries, battery management systems, and battery-related research and energetic devices for defense, space, medical, and commercial markets. It serves the mobile energy storage, renewable energy, automotive systems, construction and mining, and industrial end markets. The company was formerly known as OM Group, Inc. and changed its name to Vectra Corporation in November 2015. Vectra Corporation was founded in 1991 and is headquartered in St. Louis, Missouri. HSM is an American company globally manufacturing materials and components for transportation, furniture, bedding and other markets. EnPro Industries is a diversified manufacturer of proprietary engineered products used in critical applications. They are a leader in sealing technologies, metal polymer and filament wound bearings, components and service for reciprocating compressors, diesel and dual-fuel engines and other solutions that meet the needs of industries worldwide. Duke Energy is one of the largest electric power holding companies in the US providing electricity to 7. 6 million retail customers in six states. The company has approximately 49,500 megawatts of electric generating capacity in the Midwest, the Carolinas, and Florida. It also offers natural gas distribution services to over 1. 6 million customers in Kentucky, Ohio, Tennessee, and the Carolinas. The firm also owns and operates diverse power generation assets in North America. Saft America, Inc. manufactures lithium and thionyl chloride unit cells and multi-cell batteries for industrial applications. Its batteries are used for military, industrial, medical and commercial applications. The company was founded in 1971 and is based in Valdese, North Carolina. Saft America, Inc. operates as a subsidiary of Saft Groupe S.A.
Nucor consists of 90 businesses that operate independently but compete collectively. They have an unusually active and free exchange of ideas and solutions across divisional, geographical, and functional boundaries. Nucor is a Fortune 500 company with approximately 200 operating facilities, including their wholly owned subsidiaries of Harris Steel, The David J. Joseph Company, and Skyline Steel. Blue Ridge Holding Corp. is a holding company, which through its subsidiaries, manufactures specialty paperboard packaging products, as well as specialty and commodity grades of paperboard and paper products. The company was founded in 1999 and is based in Wilmington, Delaware. Blue Ridge Holding Corp. operates as a subsidiary of Reynolds Group Holdings Ltd.
Porter's Group, LLC, doing business as Porter's Fabrications, manufactures fabricated metal parts. It also offers custom CNC machining and milling, custom laser cutting, robotic welding, MIG and TIG welding, custom press brake forming, value engineering and design, custom plasma cutting, industrial coating, custom metal fabrication, and other services. The company was incorporated in 2005 and is based in Bessemer City, North Carolina. It has locations in Sumter, South Carolina; Gastonia, North Carolina; and Lynchburg, Virginia. SMT, Inc. is the one stop shop sheet metal fabrication company in Raleigh, North Carolina. SMT provides contract manufacturing, prototyping, custom design engineering, powder coat paint, and structural telecom products manufactured on-site. Since 1865, Gilbarco Veeder-Root has been manufacturing high-quality equipment for convenience stores, gas stations, and vehicle fleets. The company provides fuel dispensers, point of sale systems and site controllers, tank gauges, digital merchandising, foodservice ordering, intelligent device management software, and more. Gilbarco has approximately 4,000 employees worldwide and has manufacturing facilities in various countries including Australia, China, India, Italy, and United States. Outsourced electric distribution and transmission services providers. SGL Carbon SE is a European company based in Germany. Carolina Cat is proud to offer sales, parts, rental & service for construction equipment, power generation systems and on-highway trucks. Visit us today! WIX Filter is dedicated when it comes to the aftermarket, quality is everything. Fit, form and function must be as good or better than specifications set by original equipment manufacturers. Anything less is unacceptable for replacement parts that not only affect vehicle performance and longevity, but also operator and passenger safety. IntraPac International Corporation, a specialty packaging company, develops and manufactures packaging solutions for the pharmaceutical, personal care, cosmetic, food and beverage, hospitality, household, and industrial markets. The company offers plastic bottles, specialty jar closures, tin tubes and accessories, deodorant sticks, cannulas, droppers, and PET preforms; single wall, double wall, and other jars; injection-molded bottles, vials, and caps; laminate and plastic laminate tubes and accessories; bottles for the beverage and liquor industry; and amenity packaging products; as well as specialty coating services. IntraPac International Corporation was founded in 2003 and is based in Mooresville, North Carolina with production facilities in North and Central America. The company has locations in Lawrenceburg, Indiana; Harrisonburg, Virginia; Plattsburgh, New York; Calgary, Alberta; Mississauga, Canada; and San Jose, Costa Rica. IntraPac International Corporation operates as a subsidiary of IntraPac LP. Bell and Howell is a US-based services organization and former manufacturer of motion picture machinery, founded in 1907 by two projectionists, and was originally headquartered in Wheeling, Illinois. Building Materials, Paint, Home Improvement supplies, Lumber, Plywood, Plumbing supplies, tools; CM Supply has whatever you need to get the job done! With five distribution centers nationwide, HSI is able to service 90% of the US population in less than two days and 38% in just one business day via FedEx Ground. But it isn't simply about the number of locations, it's about having the right products stocked in those locations. They pay special attention to their inventory levels at each distribution center. Making Impossible Optics Possible with proprietary technology that allows optics to be thinner, lighter, and more efficient than current optics solutions. W.M. Cramer Lumber Company is a domestic and international supplier of Appalachian hardwoods, cypress, and white pine lummber. Since 1939, Jones-Onslow EMS has been committed to providing customers with exemplary services. This reputable firm is a member of Touchstone Energy, an alliance of local, consumer-owned electric cooperative across the country that offers quality and efficient services to commercial, residential, industrial, and agricultural clients. Sturdy Corporation is a product manufacturing partner focused on bringing innovation to the market. Sturdy Corporation is a global supplier of mechanical, electrical, electronic and software solutions for a diverse range of markets with a focus on applications designed for harsh environments. Sturdy provides the solutions that will take you to the next level. FPE Parts stock a large inventory of hard-to-get Federal Pacific Electric equipment and original and new replacement parts including circuit breakers, MCC buckets, bus duct parts, load interrupter switch parts, and much more. They have the experience, expertise and originally-manufactured parts to help you meet your requirement for Federal Pacific Electric Company circuit breakers and replacement parts. The paper industry's unrivaled leader in value chain solutions. McGrann outperforms the competition and defies industry statistics. For more than 30 years FlawTech has manufactured flawed specimens that have met the requirements for critical industries from nuclear power to space exploration. Their commitment to quality and their expert staff are specific reasons why their clients remain loyal and FlawTech has emerged as the "benchmark" for quality flawed specimens. Manufacturer of industrial chemicals serving the Southeastern, US call (910) 892-1791. EnviroServe Chemicals, Inc has more than 1,500 products available and a helpful technical support staff. Summit Pet Products Distributors is one of the largest wholesale distributors of pet food and supplies in the United States. SinnovaTek is a food processing technology leader. We provide R&D services, engineering and equipment for large and small food & beverage companies. KSS TechTracS is flexible business software from Knowledge Sharing Systems that effectively manages the innovation process from idea to commercialization. LiftOne is your full service provider of warehousing solutions in Tennessee, North Carolina, South Carolina, Alabama and Georgia. Call us or stop by today! Big Rock Sports is a world-class shooting, fishing and taxidermy distributor that offers business-building resources and advocates on behalf of the rights of hunters and anglers. Bowman Hollis Manufacturing Inc is a full service industrial distributor, specializing in industrial belting of all types. Headquartered in Charlotte, NC, with a branch in LaGrange, GA.
Our Refrigerated Truck Bodies & Reefer Trailers are Designed with Cold in Mind.We've been a manufacturer of innovative refrigerated vehicles since 1946. Nobody Knows Cold Like Kidron. USA Innovative spinner with expertise in processing exotic and difficult blends in addition to traditional textile fibers. Sales yarns include filtration, janitorial, upholstery, glove, technical, core yarns, cut and flame resistant. Lenoir Mirror Company is a major US mirror manufacturing company producing commercial mirrors and wholesale mirrors since 1913. Leading AISC certified structural steel fabricator in the United States that provides outstanding customer service and delivery of a superior product. 3A Composites USA Inc. develops composite materials. The company offers products, such as foam products, composite structures, sandwich construction elements, heated floor panels, aluminum composite panels, polyvinyl chloride foam sheets and boards, paper faced foam boards, foam plastic sheets, heavy-duty foam boards, front cabins, polyurethane-core foam boards, fluted polypropylene/corrugated plastic sheets, and plastic sheet materials. It serves architecture, composite bridges, corporate identity, display and graphic arts, cladding, marine, health and wellness, rail and road transportation, and wind markets in the United States and internationally. 3A Composites USA Inc. was formerly known as Alcan Composites USA, Inc. and changed its name to 3A Composites USA Inc. in February 2010. The company was incorporated in 1986 and is based in Statesville, North Carolina with additional offices and manufacturing operations in Switzerland, Germany, Ireland, Ecuador, Brazil, China, India, Singapore, and the United States. It also has operations in Europe, North America, and South America, as well as in India and China. 3A Composites USA Inc. operates as a subsidiary of Schweiter Technologies AG. Gregory Poole is the exclusive Cat construction equipment dealer for eastern North Carolina. Trust our experts & reliable machines for your next job! Our mission is to be a customer focused innovative resin company that consistently supplies high quality products and services that exceed our customers' expectations. CHIEF Supply is your #1 resource for EMS, police, military & fire professionals. Shop safety equipment & apparel online & find the industry's top brands! The largest independent lubricants manufacturer in North America. Compounding, Blending and Packaging of Automotive Lubricants and Household Chemicals. It's all about quality! For over 60 years Fulterer has been a world leader in drawer slide technology. They combine design innovation, the latest technology and fine craftsmanship to produce the highest quality drawer slides available. They design and manufacture drawer slides that fit practically any application. Tethis creates advanced biomaterials made from sustainable, biodegradable sources for use in moisture management and water treatment applications. Vrush Industries Inc. is the leading distributor of office and home furniture and furnishings. This privately owned company was incorporated in 2009 and is based in High Point, North Carolina. Vrush Industries Inc. is an experienced and diversified supplier of quality traffic building items as well as back end support and sales services. AB Carter, Inc. is universally recognized as a quality supplier of machines, products, parts and accessories for the yarn, carpet, fiberglass and industrial sectors of the textile and composite industry. AB Carter, Inc. is dedicated to meet and exceed their customers' expectations and to form a partnership for continued long-term growth. Columbia Forest Products is North America's largest manufacturer of quality, decorative hardwood plywood and veneers for homes & commercial settings. Rutland Plastic, an operating unit of Rutland Holdings, is a leading manufacturer of screen print inks & specialty inks for the textile industry and a supplier of plastic coatings for commercial and industrial applications.